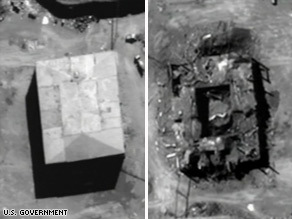 After saying nothing about the incident for over a decade, the IDF falsely claimed it destroyed a Syrian nuclear reactor in 2007 before it became active. Israeli and Western media are all over the story, reporting the ruse, what Haaretz called former prime minister Ehud Olmert’s “finest hour” – a shameful perversion of what actually happened. Syria had no nuclear reactor. Claims otherwise were fabricated. A lawless IDF September 6, 2007 attack indeed occurred on its territory. At the time, anonymous sources claimed Israel destroyed a partially constructed nuclear reactor. None existed. The site attacked had nothing to do with nuclear reactor development. Israel committed premeditated aggression. It wasn’t the first or last time. At least four “low-flying” IDF warplanes entered Syrian airspace illegally. Syria denounced the incident. Assad admitted Israeli warplanes struck their intended target – an “unused military building,” he explained, not a “nascent nuclear reactor,” as anonymous sources claimed. Days before the bombing incident, a North Korean ship arrived at Syria’s Tartus port city. Satellite imagery falsely claimed a building under construction “was designed to hold a nuclear reactor when completed,” Hersh explained. Reportedly, Washington signed off on the Israeli bombing. The Olmert regime and IDF maintained silence about it. “(I)n three months of reporting” following the incident, “I was repeatedly told by current and former intelligence, diplomatic, and congressional officials that they were not aware of any solid evidence of ongoing nuclear-weapons programs in Syria” – because there was none. Hersh explained similar information came from congressional members weeks after the bombing, following intelligence briefings – including about an alleged North Korean connection. Hersh stressed “serious and unexamined contradictions” in published accounts of the incident. An unnamed IAEA official mocked the notion that the Syrian building under construction was for a nuclear reactor, saying “(a) square building is a square building” – nothing else, nothing sinister or illegal about it. Nonproliferation expert Jeffrey Lewis said the building wasn’t high enough to house a Yongbyon-size reactor – with enough room to extract control rods. Nor did satellite imagery indicate major underground construction. Lewis added “(a)ll you could see was a box. You couldn’t see enough to know how big it will be or what it will do. It’s just a box” like countless other buildings. Hersh is highly respected, his reports credible. In September 2007, Israeli warplanes did not target and destroy a Syrian nuclear reactor – as reported at the time, what Israel for the first time now falsely claims. Israel is the only regional armed and dangerous nuclear power since the atom was split. Neither Iran, Syria or any other Middle East country pursued development of these weapons earlier or now. Claims otherwise are bald-faced lies.